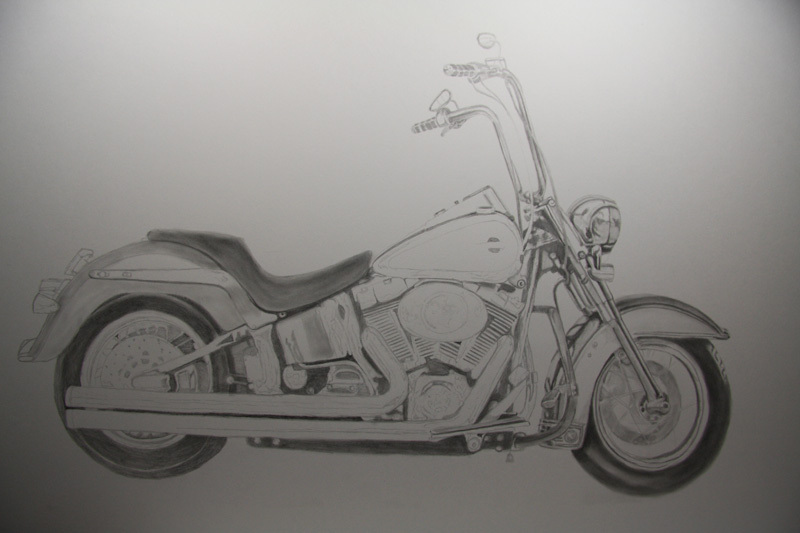 After several more hours most of the motorcycle has been refined further but needs much more refining and details added. Several layers have been built up for the darks but still need to darken the seat & back tire more and shape both. Then it is onto the chrome and refining all the engine darks and reflections.